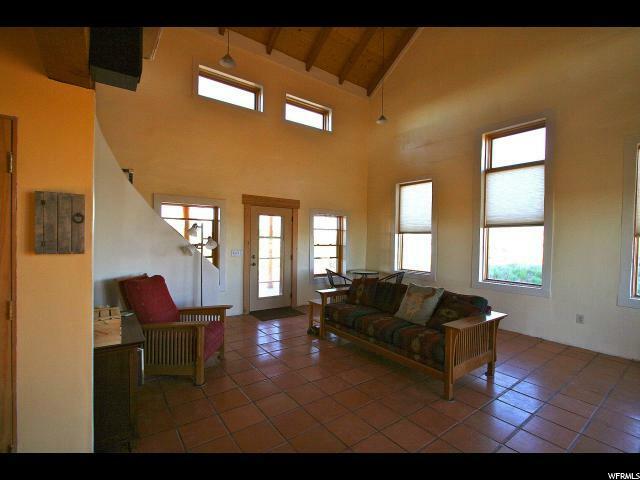 PRIVATE RETREAT Beautifully constructed off-grid home in a peaceful, quiet setting northeast of Monticello. 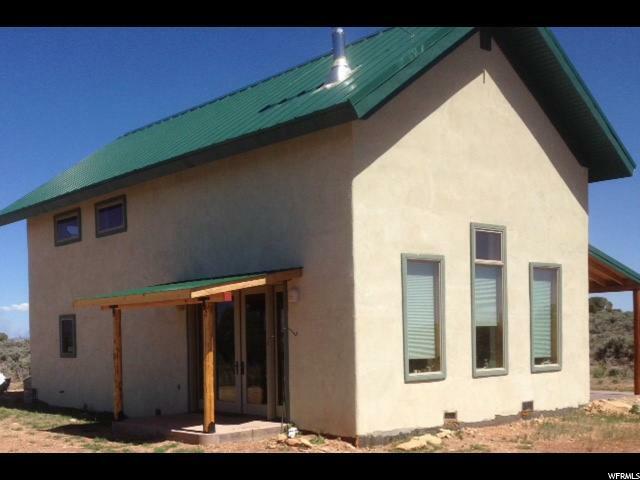 This two-story home features Rastra block construction with foot-thick walls for excellent energy efficiency and longevity. Your nearest neighbors will be the elk, deer, coyotes, eagles, hawks, and songbirds, abundant in the 80 private acres that surround you. 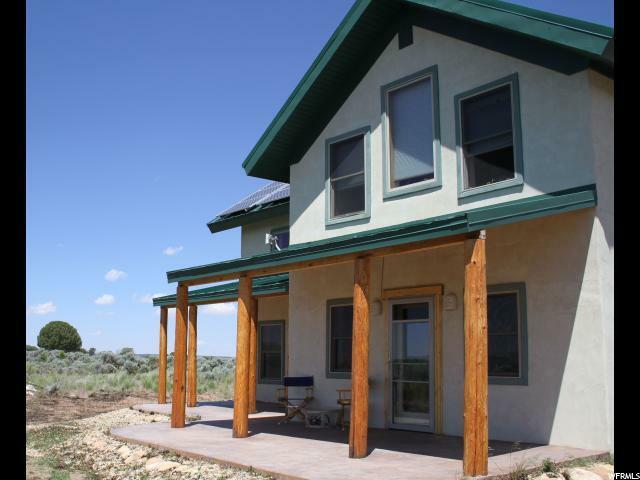 With unfettered mountain views, you will love the escape from the hustle and bustle of daily life - yet still enjoy clear, consistent cellular service, even satellite television and wireless Internet. The home features quality finishes including Pella brand double pane windows and French doors, solid oak and Saltillo tile flooring, custom cabinetry and solid-surface countertops, knotty pine tongue and groove ceilings, a beautiful soaking tub in the main floor bath and a custom tiled oversized shower in the Master bath. 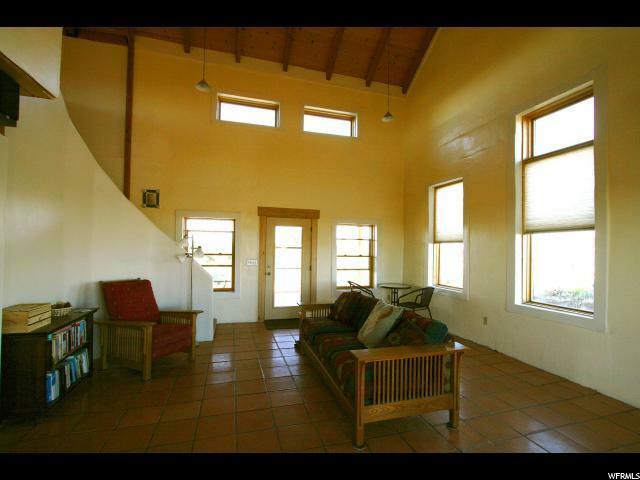 The Great Room features 25 foot vaulted ceilings; the open design maximizes the spacious feel of the home and wonderful useable space. There is a huge open kitchen, sweeping living and dining areas with access to the wraparound porch, a guest bedroom and full bath on the main floor. A graceful curved staircase leads to the upper story, with loft area (a perfect office or library nook), and a private Master Suite. The setting of the home is magnificent, with mountains on all four sides and amazing peace and privacy on a private lane. With the feel of a remote, back country retreat, but the absolute comfort of a beautifully built full-time home, this truly unique property is the perfect escape you have longed for. Listing provided courtesy of Real Estate Company Of Moab. Information deemed reliable but not guaranteed accurate. Buyer to verify all information. © 2019 Wasatch Front Regional Multiple Listing Service, Inc., All Rights Reserved.